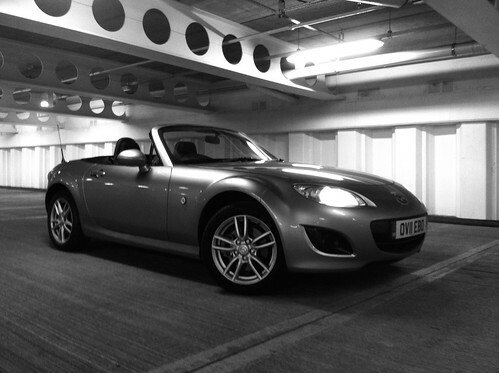 I found this picture whilst looking for images of my old MX-5 to upload to my cars blog on Blatters, I thought it would be perfect for the #throwbackthursday hashtag on Twitter, but instead of keeping it on my Twitter account I thought I’d blog about it too. This picture takes me back to 2007, while I was working as a web developer between finishing my degree and graduating. Most days I would head out for a blat around the Welland Valley on my lunchbreak. These were the days before I had a DSLR, so this was taken on my Dad’s Nikon FM2 and the slide scanned. I’ve been a bit rubbish at blogging the last few months, my excuses are working on the 119 project, enjoying my MR2 and that I’m really busy at work. 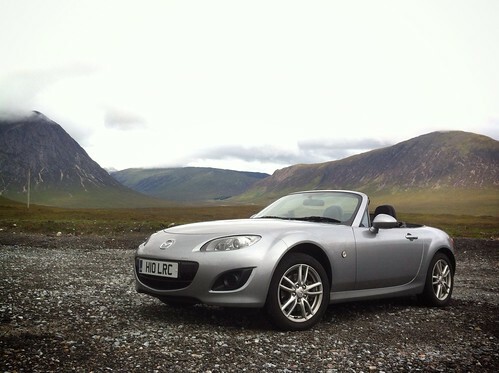 It was on a flight for work that I was reading evo magazine on my iPad and came across the image above, of my MX-5 next to Loch Glascarnoch on the A835 and a few words about my 2012 Scottish roadtrip. I’d submitted the article a while back and almost forgotten about it. The word count I had to meet was quite restrictive, so there’s hardly any detail, but the full details of the trip are earlier in this blog. The last day of our highlands/islands adventure started with the now traditional fry up, followed by a warning to watch out for French drivers on the roads! Our goal was to get back to Perth for lunchtime, we couldn’t be late as everyone was waiting for the smoked salmon we had bought on North Uist, we had 100 miles to cover on the A82 and A85! I’d heard that the A82 in particular was good driving road, but on the drive from Fort William to Glencoe ski centre we weren’t really able to enjoy it due to the traffic, particularly caravans, so we decided to stop at the ski centre to have a look around and take some photos (see above), the little huts they had to sleep in looked good, but I’m not too sure I’d want to stay in one in the middle of winter. 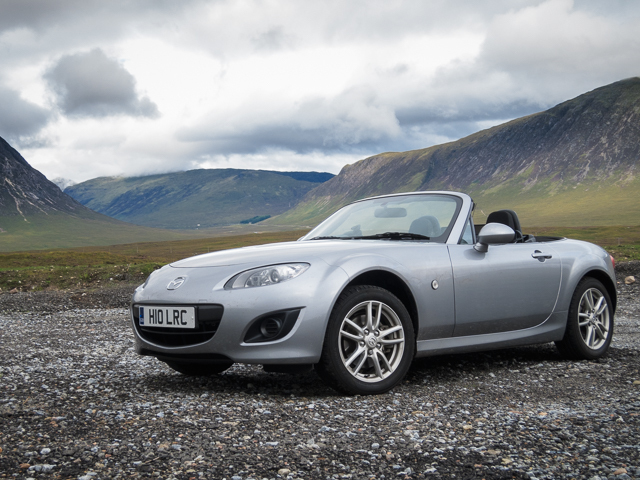 We thought about taking a chairlift ride to the summit, but the webcam showed that it was in the clouds, so we saved our money and pointed the MX-5 back towards Perth, luckily managing to get some clear road to enjoy. The road wasn’t as twisty as some of the others we have driven this week, with lots of long straights, so probably more suited to something with a bit more power than the Mazda. The rest of the journey to Perth seemed to take ages, as we seemed to be stuck behind slow moving vehicles the whole way, but we did make it to Perth just after midday and the salmon went down well at lunchtime. The afternoon was spent catching up with my family, mooching around Perth, then a great meal out at the Bothy in Perth to celebrate my Dad’s birthday. 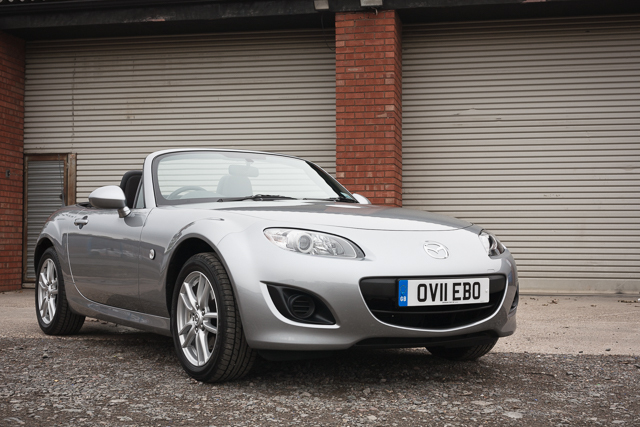 This picture was taken at Southwold in Suffolk, the destination of the 2012 “Fish and Chip Run” an annual event of the MX-5 Owners Club Northamptonshire Area. The day started off with an early start and a dash to the layby on the A14, where we would be joining the convoy, which was already at least 30 strong, increasing to over 100 cars as we headed east towards the Suffolk coast. When we got to the harbour at Southwold we parked up and headed straight to Mrs T’s Fish and Chip Emporium, to get what is probably the best fish and chips I’ve ever had! It was with fully bellies that we took a stroll down to the beach, dodging the MX-5s that had taken over the whole harbour area. Just before we left I was able to pull my car out in front of some boats and take this photo, without causing too much of a traffic jam! 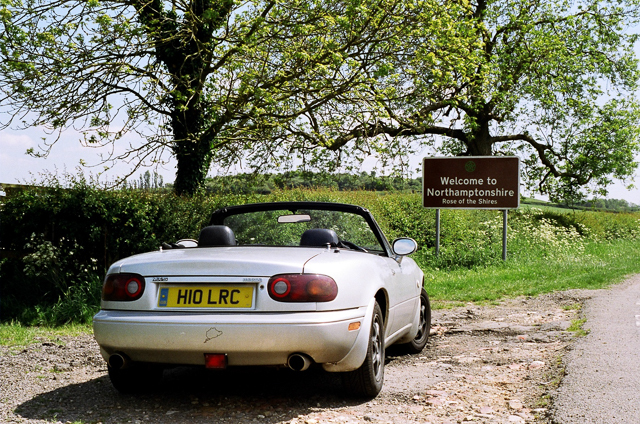 The drive home, via meeting up with one of Jen’s friends near Thetford and the B664 (Uppingham to Market Harborough) was one of my favourite drives of the year, with flowing roads, hardly any traffic and perfect weather! Things have been a bit quiet on the blog recently, mainly because of all the travelling I’ve been doing, and partly because of my new toy!